Probably you have already heard of the new superfood called matcha. It really is a hype at the moment. For those who do not know what matcha is: Matcha is pulverized green tea, full of fiber, vitamins and chlorophyll. It also is packed with antioxidants and believed to boost metabolism and burning calories. Whether it is true or not, lets be honest it tastes incredible good. 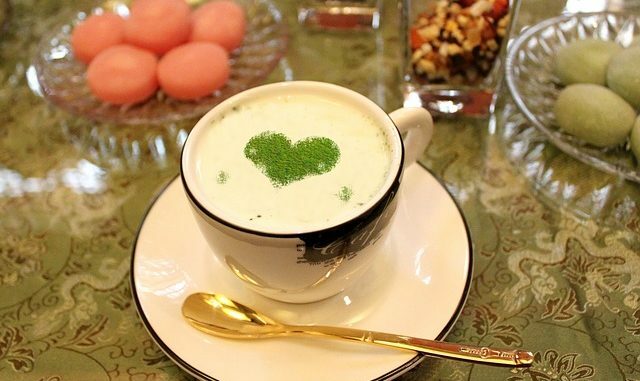 Matcha is a japanese food which originally was only available for the upper class people. 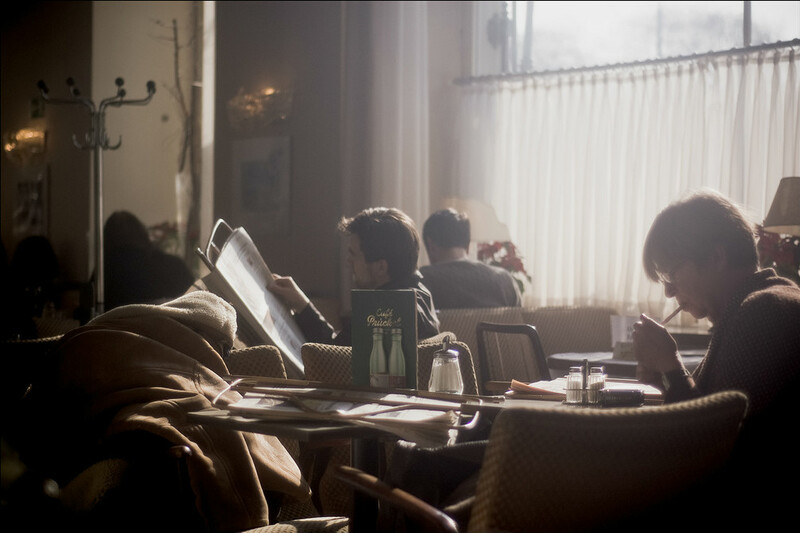 But now there is a japanese cafe, near the Naschmarkt where you can sip your tea, have some delicious treats and watch all those creative, hipstery people coming there. I am talking about Cha No Ma. 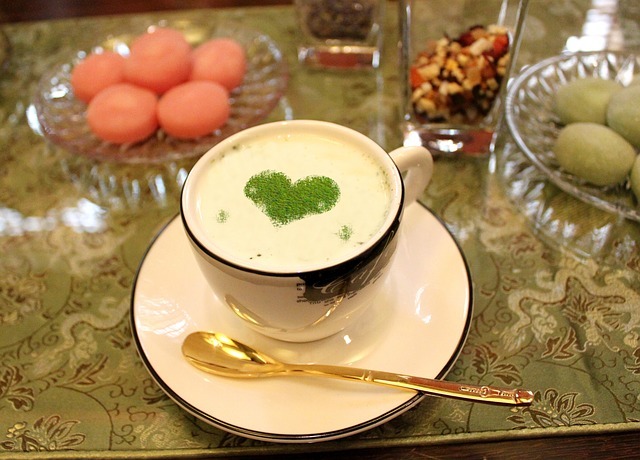 If you like green tea, rice-treats and a inspirational atmosphere this cafe is a must go to for you. From the outside it looks like every other japanese cafe but when you take the first step inside a whole new world will open its doors to you. On your left you will find a little shop, where you can buy matcha, cookbooks and the needed equipment for preparing your green tea the right way. On the right you will find the sale area, you can order your matcha of choice here and take a seat. One of the very nice and friendly girls working there will bring you your cup of tea and probably chat with you if you want to. The atmosphere is incredibly heartwarming I tell you. What may sound a little bit disgusting at first will seduce you as soon as you try one of the amazing options you can choose from. From pure Matcha over Matcha Latte (even Iced Latte) to Matcha Vanilla Frappe there is everything your healthy eating heart could ever want. All of the drinks are prepared with vanilla soy milk, but you can have rice or oatmilk as well. But lets go on and talk about all the delicious treats they offer. First of all their menu includes traditional japanese foods such as Onigiri, Misoshiru, Dorayaki and Mochi. But that is by far not everything they offer, for all the sweet tooths they have Matcha Tiramisu, Matcha Cupcakes and Matcha Ice cream (which happens to be vegan as well) and from my own experience I can say that those things are fricking delicious. And because they are vegan I suppose that they may be healthy which is definitely a bonus point. The easiest way to get there is to take the U4 and get out at the station „Kettenbrückengasse“. Just walk along the „Rechte Wienzeile“ and turn left as soon as you reach the „Faulmanngasse“. Cha No Ma is the second cafe on the right. 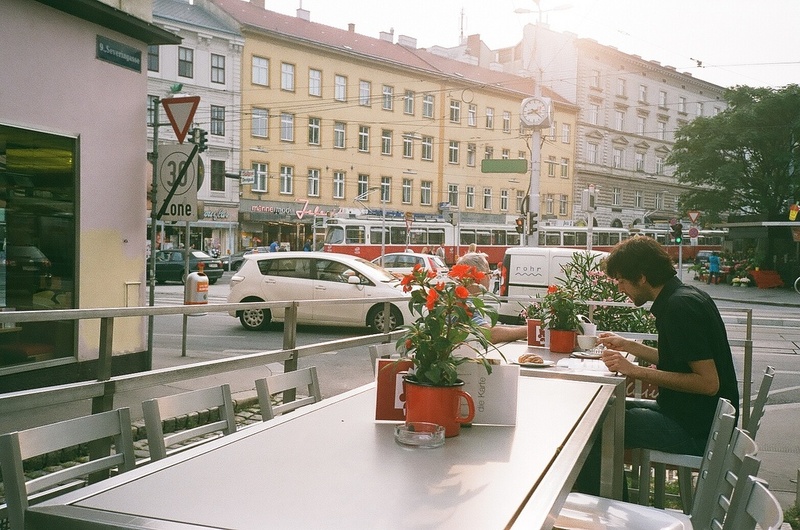 Go there, have a cup of tea and get in the spirit of the viennese lifestyle.